Kamal Haasan’s unrivalled make up skills, Jack Nicholson’s haunting imagery, Asha Parekh’s life as a Hit Girl and the surprise package of Beauty and the Beast, it’s all there in Sukanya Verma's super filmi week. The Raabta trailer is out and it's inspired-by-Magadheera vibe is hard to miss. So long it’s nothing like that disastrous reincarnation romance Prem. Whatever happens Rajkummar Rao’s campy guest appearance is bound to gather notice. Resembling a cross between Voldemort and Auro, the Trapped star is virtually unrecognisable under all those layers of prosthetic. 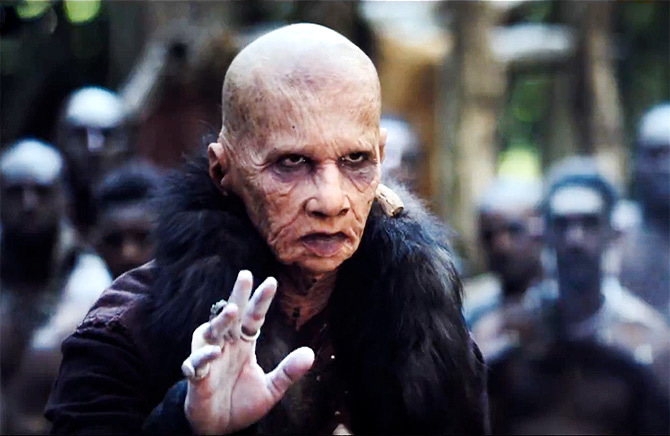 Although special make-up effects tend to look gimmicky and still have a long way to go as far as our films go, their application has produced exciting results in an actor’s performance -- be it Bachchan in Paa, Shah Rukh Khan in Fan, Rishi Kapoor in Kapoor & Sons and, hopefully, Akshay Kumar in 2.0. Still nothing beats Kamal Haasan’s turn as the utterly believable and matronly Chachi 420 -- a remake of his Tamil comedy Avvai Shanmughi, which itself was inspired by Robin Williams starrer Mrs Doubtfire. The purpose of make-up is to unify with the character and Chachi achieves that greatly. Thanks to the brooding Netflix series, 13 Reasons Why and Yashraj’s fun promos of their upcoming rom-com, Meri Pyaari Bindu, cassettes are back in the limelight. No matter how cool and uncomplicated technology gets, the unexplained thrill of buying cassettes or winding a jammed tape with a handy pencil can never be replaced. I still remember my first. They were two actually. Both purchased from the legendary music store Rhythm House in south Mumbai’s Kala Ghoda, which shut down last year. One was an audio book of children’s fairy tales, the other Khayyam’s magical soundtrack of Razia Sultan. 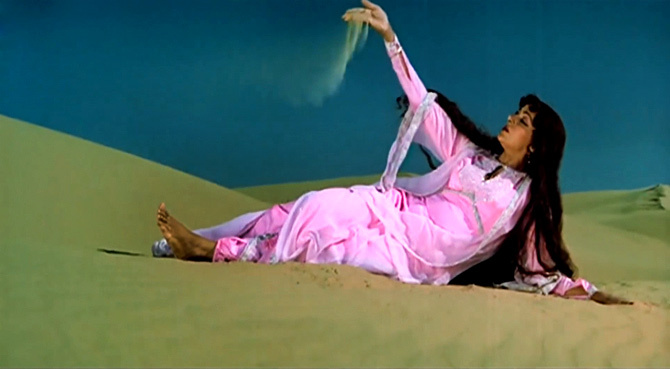 As a kid, all those heavy-duty Urdu words were obviously beyond my grasp but the cassette cover featuring its leading lady Hema Malini in a striking fuchsia costume and crown was enormously attractive as was Lata Mangeshkar’s silky rendition of Aye Dil-e-Nadaan. Thanks to them, I started early on a diet of arzoo, charsun and dasht-o-sehras. 'Barbadiyon ka jashn manata chala gaya,’ goes a line by Sahir Ludhianvi in an unforgettable song of Hum Dono. But few have understood its spirit like poet and filmmaker Gulzar and one of Sahir’s greatest admirers. There’s almost a pattern in the poignant moments he draws out of ruins. 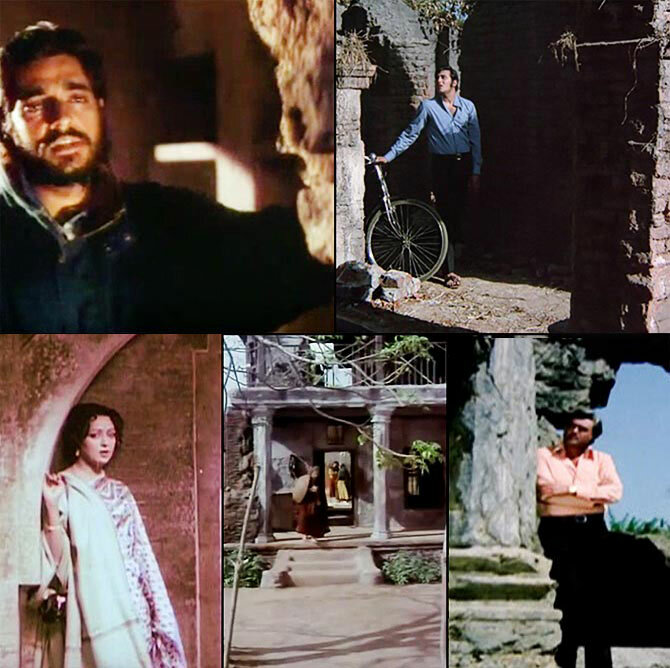 Though Gulzar’s characters are expressing different degrees of melancholy against the backdrop of a dilapidating building, in engaging its striking, smashed scenery he honours the poetic metaphors it effectively offers. 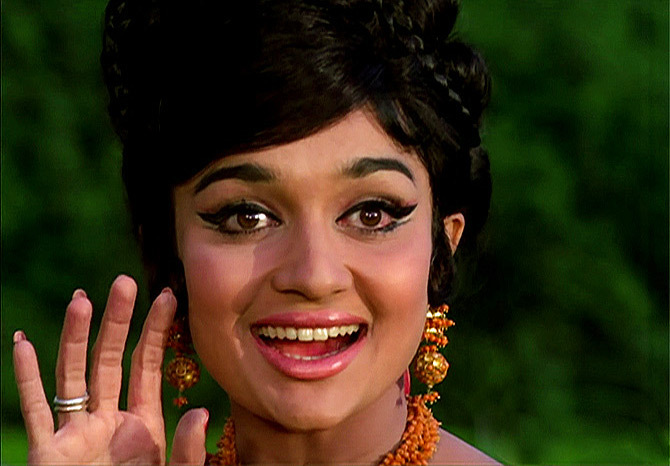 When I think of Asha Parekh, I picture a coy young woman dressed like a Japanese doll trotting all over Tokyo or fluttering her big, beautiful eyelashes at a smitten Rajesh Khanna to bid adieu or tugging at Shammi Kapoor’s satchel like an attention-seeking imp. 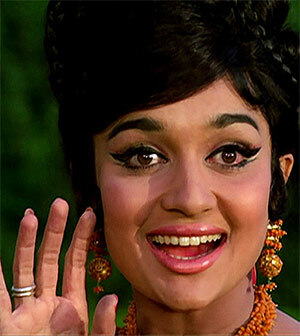 There’s a fair share of tearjerkers in her resume but the yesteryear cutie impressed best in fun, frothy fare. Often as the snooty, fashionable heiress scoffing at the hero in the presence of her omnipresent girl gang or displaying her dancing prowess in strategically designed stage shows; Parekh infused freshness to a monotonous gig. The Teesri Manzil star’s onscreen effervescence is overwhelming enough to believe, it translates into a rosy reality as well. But as I start reading her recently launched autobiography, The Hit Girl, co-authored by journalist and filmmaker Khalid Mohamed (and a prologue that provides no new insight by Salman Khan), I realise there are some uncomfortable truths in her carefully weighed admissions. She may shroud her words in diplomacy or matter-of-factness but I found the rough behaviour of her co-stars like Joy Mukherjee or Guru Dutt disconcerting. Commitment to art is fine but to bruise a colleague for its sake no matter how unintended is unacceptable. The actor’s casually shared anecdotes unwittingly exposed the film industry’s massive ego, deep-rooted chauvinism and an appallingly 'chalta hai’ attitude around it. The steeply priced memoirs have their blithe moments too -- like Rajendra Nath’s fizzled attempt to woo her with a heart-shaped bouquet of roses, the weekend she and Rajesh Khanna went from to dead to alive to salvage Baaharon Ke Sapne’s doomed box office fortune and Satyajit Ray’s sweet gesture following her inability to act in his Kanchenjunga. Anxious to read what else the star who once sang, 'Parde mein rehne do parda na uthao. Parda jo uth gaya toh bhed khul jayega' will reveal. 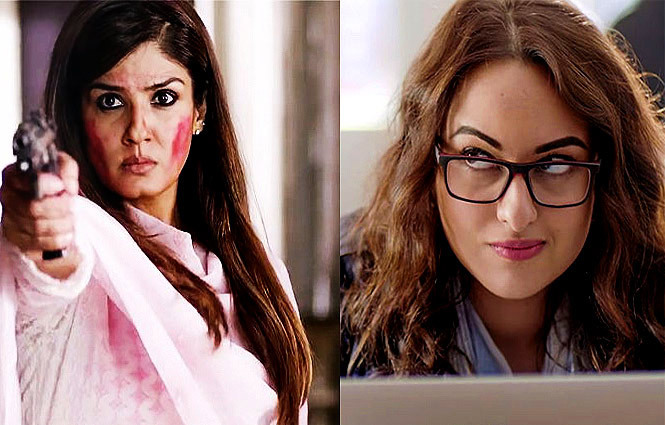 Raveena Tandon and Sonakshi Sinha battle for box office supremacy in Maatr and Noor respectively. If one’s about a woman going on a revenge spree after she and her minor daughter are brutally gang-raped, the other focuses on a bumbling journalist’s efforts to be taken seriously. Both films mean to further the cause of women taking centre stage on screen. Both star charismatic leading ladies are capable of delivering under keen guidance. Both are let down by senseless scripts that cash on their charisma and believe that is enough to draw an audience in. Needless to say, it’s not. My Noor review: So long it’s true to its confection roots, Noor works. But when it engages in shallow activism for the heck of it, it rambles and drags. 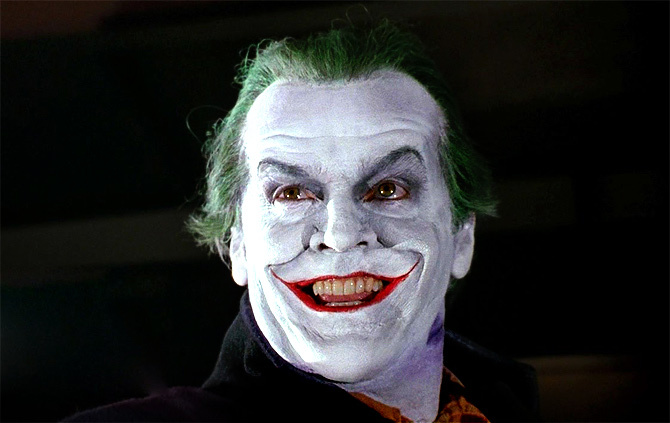 And Jack Nicholson turns 80 today! I claimed to be his fan even before I had watched him in any movie. Just because my know-it-all big brother was mad about Jack Nicholson and Michelle Pfeiffer, I decided I had to be too. As kids, we had these silly slam books where we would list out our favourite films, stars, food and other pop culture highlights. One’s coolness quotient was directly proportional to how cool the answers were. Cool=All things western. Without thinking twice, I scribbled down their names even if could barely spell them. Not too long after that I watched Tim Burton’s Batman. And that scene when he falls into a tank of green chemical and becomes The Joker is deeply etched in my memory. Over the years, I savoured his versatility in roles full of edge, depravity, warmth, aggression, humour and enigma in One Flew Over a Cuckoo’s Nest, A Few Good Men, The Shining, Five Easy Pieces, Chinatown, As Good As It Gets, About Schmidt, The Departed, and loads of other films including one of his earliest -- Roger Corman’s The Raven. Not to forget that incorrigible smile and groovy sunglasses he’d flash seated in the front row of an Oscar ceremony. It was a performance in itself. Happy Birthday Jack, you goddamn marvel of modern science. So happy to catch a show of Disney’s live-action adaptation of Beauty And The Beast before it left the theatres for good. Tale as old as time it may be but Belle and Beast still make warm magic through their journey of overcoming pride and prejudice against Alan Menken’s resplendent score and a harmonious mix of VFX and art design. Emma Watson and Dan Stevens use all their charms to ensure this transition from foes to friends is credible. But it’s Emma Thompson, Ewan Mc Gregor, Audra Mc Donald and Ian McKellen’s vocal wizardry as the enchanted teapot, candelabra, wardrobe and mantel clock that injects their courtship with gaiety and zing. 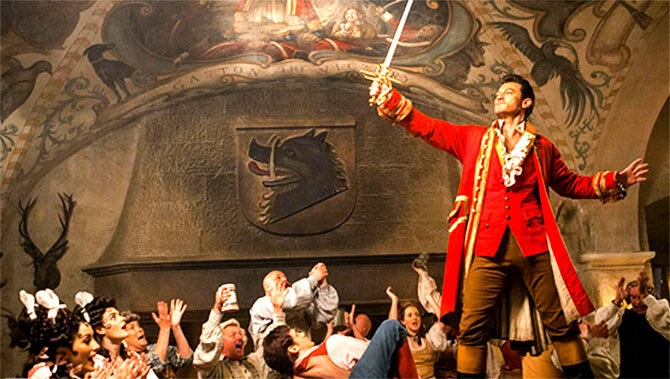 The biggest surprise of Beauty and the Beast is the braggart Gaston. I was never too taken in by his animated avatar but Luke Evans’ (the sincere Bard of The Hobbit trilogy) free flowing flamboyance turns Gaston’s narcissism into a wonderful, witty spectacle of valour and vanity. Super Filmi Week: KJo's call for grace! A super filmi week with Anushka, Kangana and Jeetendra! More power to Anushka Sharma! Was it really necessary for Shah Rukh Khan to take a train trip?